Advantech’s IDS-3315 front IP65-rated industrial touch monitor is built for water- and dust-resistant applications. It is equipped with Advantech’s well-engineered, in-house ruggedised front metal frames, providing optimal solutions for water- and dust-resistant applications while keeping a compact and narrow bezel design. The rounded-corner design is ergonomic and sleek while reducing the likelihood of damage. The screen offers versatile touch-screen options, including cover glass, resistive touch screen and projected capacity touch screen, for different applications and user scenarios. Customisation services, such as brightness enhancement and AR coating for outdoor applications, are available. The in-house, IP65-rated mechanical solution offers an ultraslim design of 42 mm in depth and four rounded corners for maximum protection. IDS-3300 also provides different interfaces for easy fixing and integration: VESA 75 x 75 and 100 x 100 at the back and metal clampers on the sides. The IDS-3300 series offers flexible surface options such as cover glass (when touch is not required), resistive touch screen and a projection capacity touch screen to meet different specifications. The series comes with VGA/DVI/HDMI signal interfaces for easy integration to all embedded boards and systems. USB and RS-232 ports are reserved for connections to different touch screens: projection capacity or resistive. 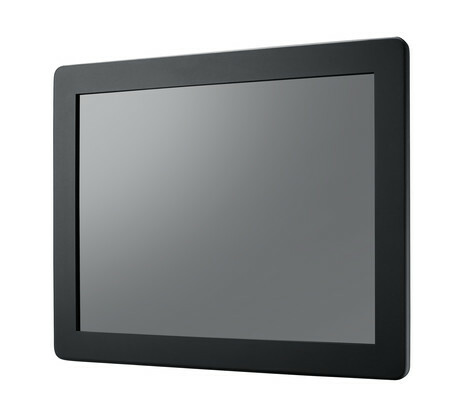 The IDS-3315 (15″), with cover glass, resistive and PCAP touch screen options, is available for order now while the IDS-3319 (19″) and IDS-3310 (10.4″) will be available for order in Q2 2019. 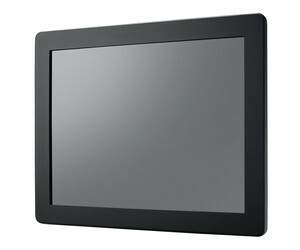 I am interested in Advantech IDS-3300 series IP65-rated industrial touch monitors .